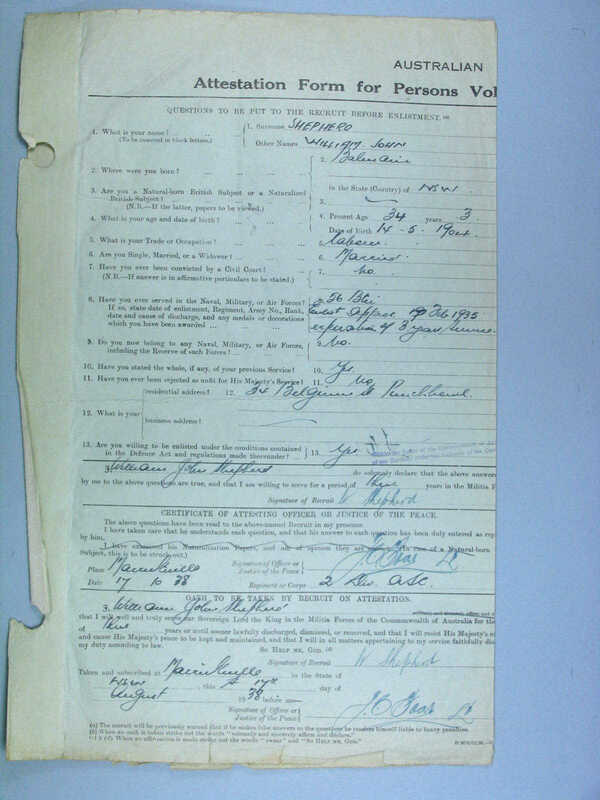 Enlisted in Royal Australian Navy 31 May 1919 to 14 May 1922. 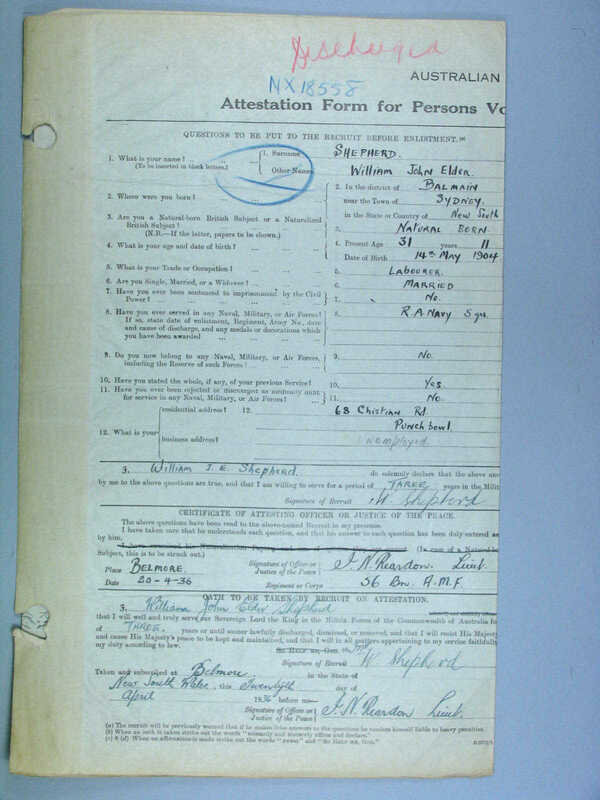 Enlisted in 56 Battalion of Australian Militia Forces for a period of 3yrs. 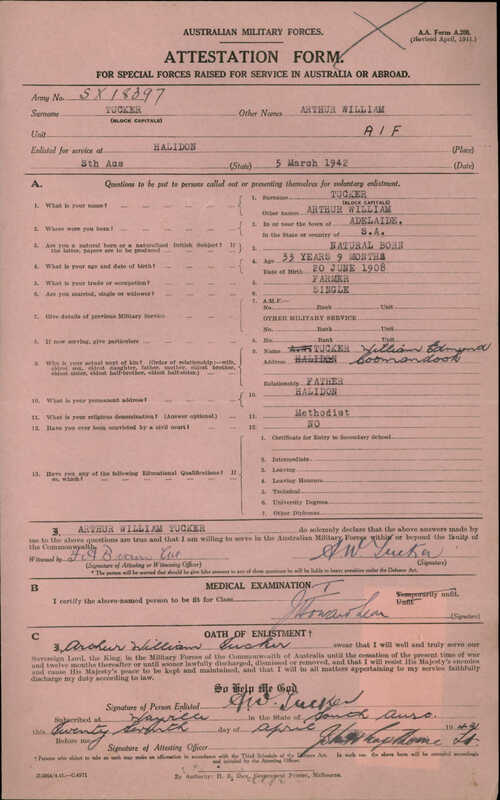 Enlisted in 2nd Division ASC Australian Militia Forces for a period of 3 years. William transfered from Militia forces into the Australian Imperial Forces and served until discharge at the end of World War II. He seen active service in Palestine and New Guinea. William official discharged from militia forces and enlisted in the Australian Imperial forces for the duration of World War II. William Received the following Military Decorations for his service during World War II.